I am not sure if this cover is intentional humorous, unintentional humorous, or it is all just in my head and the cover is fine. Can I get a reality check please? 1) Why is his sword so tiny? 2) Why is he shaving his back with it? 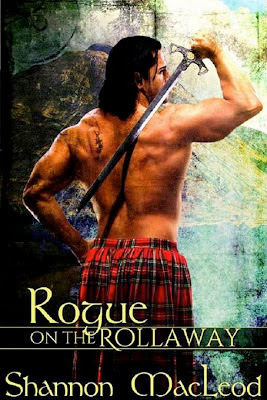 And 3) why is his "kilt" not pleated but gathered in ruffles with a waistband, like a girl's school uniform skirt? No, no. You are 100% correct in all your initial thoughts.